In the year 2018, we saw very few tag teams split up unlike the year 2017. 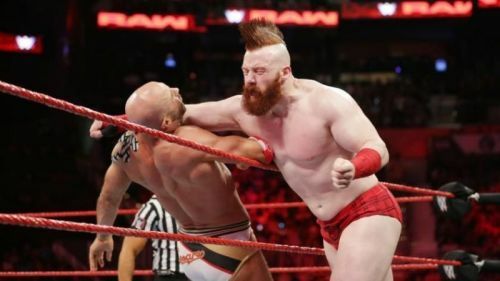 This has stagnated the tag team division of the WWE and in order to freshen things up, the WWE should look to separate some of its top tag teams. The moment when Dean Ambrose turned on Seth Rollins in 2018 turned out to be one of the most shocking moments of the year and spiked up the viewership ratings of WWE TV. However, not all tag teams need to be split as some of the tag team specialists may become directionless in the singles division just like the team of Enzo and Big Cass. So, here are the 2 tag teams which the WWE should split in 2019 and 2 which they should not. 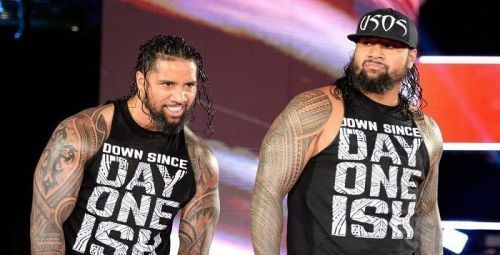 The Usos have always been shown as a tag team of 2 brothers who can surpass any limits for each other. They have been the MVPs of the tag team division of the blue brand since the brand extension of 2016 but it seems like they have run out of opponents now. Jimmy and Jey have the potential to perform well in the singles division as well and given the fact that they have feuded with almost every tag team in the WWE it is high time the twin brothers part ways from each other. WWE can choose Jey Uso as the one who betrays his brother and they can have him turn on Jimmy as soon as next week as a part of the ongoing saga between Jimmy Uso, Naomi and Mandy Rose. You can check out the best way how Jey Uso can be turned heel here.